Sonia's Auto Sales has a wide selection of exceptional pre-owned vehicles to choose from, including this 2017 Nissan Sentra. When it comes to high fuel economy, plenty of versatility and a great looks, this NissanSentra SL cannot be beat. This Nissan Sentra's superior fuel-efficiency is proof that not all vehicles are created equal. This low mileage Nissan Sentra has barely been touched. It's the next best thing to buying new. Drive any city's streets like you've lived there all your life using the navigation system on this Nissan Sentra. The tires on this vehicle have passed a rigorous inspection for safety, stability and tread life. 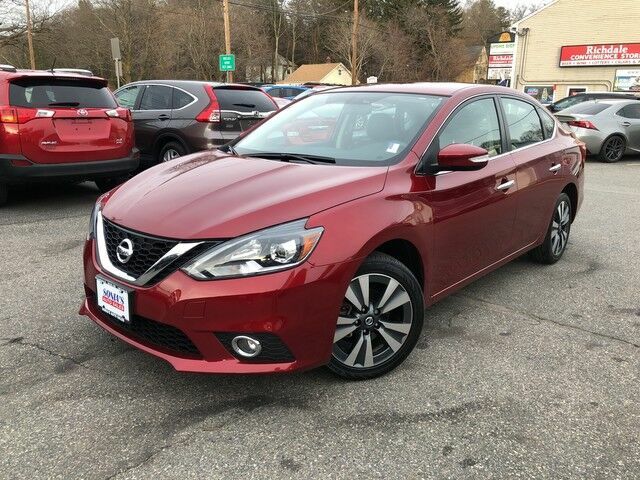 Added comfort with contemporary style is the leather interior to heighten the quality and craftsmanship for the Nissan Sentra Enjoy the comfort of knowing this Nissan Sentra comes equipped with a manufacturer's warranty. This impeccably built Nissan Sentra SL comes with a plethora of added features that have made this vehicle a unique find. These options will simply amplify the experience of owning and driving this wonderfully crafted Nissan. The interior of this Nissan Sentra SL has been through meticulous inspection and could almost pass for a brand new vehicle. The upgraded wheels on this Nissan Sentra offer an improved ride and an attractive accent to the vehicle.